The EU Transparency Register was set up in June 2011 to answer core questions such as what interests are being pursued, by whom and with what budgets. The system is operated jointly by the European Parliament and the European Commission. Compared with the situation in the 1990s the Transparency Register should be considered a success, however, there is a long way to go, especially compared with Washington. A mandatory lobby register with enforced financial disclosure and theoretical high punishments exists on federal level, as well as in every almost every US state. Incoming President Juncker’s priorities for the European Commission contained a strong commitment to increased transparency. The Commission committed to publish information about who meets its political leaders and senior officials and to provide greater access to documents. In May 2015 the Commission presented its better regulation agenda which included a series of measures to enhance the openness and transparency of the EU decision-making process, including secondary legislation. The Commission also decided that commissioners, cabinet members and directors-general should only meet interest representatives who have signed up to the transparency register. The European Commission presented its proposal for a new inter-institutional agreement on a mandatory Transparency Register for lobbyists covering the European Parliament, the Council of the European Union and the European Commission in September 2016. The proposal aims to strengthen the framework for a transparent and ethical interaction between interest representatives and the three institutions. 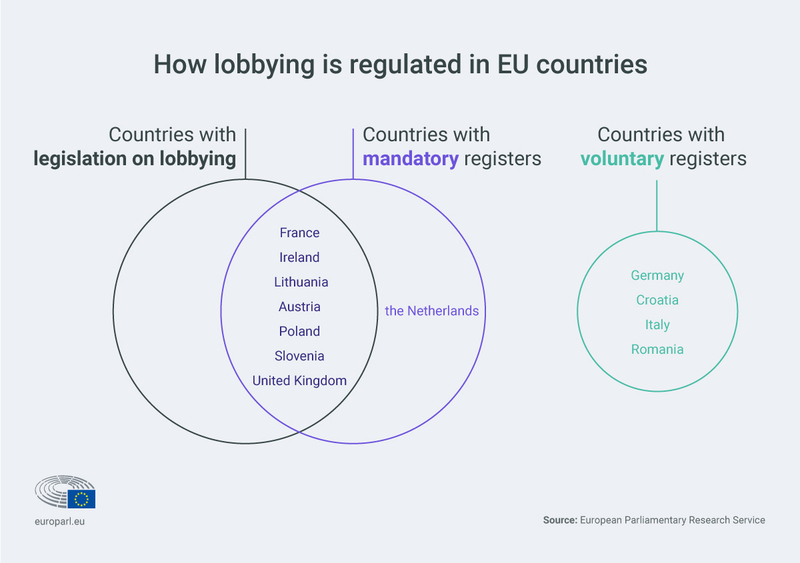 The negotiations between the three EU institutions on a mandatory transparency register for EU lobbyists began in 2017 but no common agreement has been found yet. The sticking point mainly revolves around independence and confidentiality. The Parliament is working on a voluntary registration system, which the Commission thinks is insufficient. The Parliament disputes “copy and pasting” an approach for Commission officials onto an elected assembly. The Commission, though widely recognised as more advanced on transparency than the Council and the European Parliament, has also been criticised for failing to extend its “no registration, no meeting” rule to lower-level officials and thus ensure full transparency. Only the most senior 250 employees of the estimated 30,000 Commission staff are covered. EPACA members have committed to apply the ‘no register, no meeting rule’ and supported more transparency in all institutions – including Commission, Parliament, and Council. Regulating lobbying is a rather recent concept in the majority of Member States. According to the European Parliament Research Service report of December 2016 seven Member States (France, Ireland, Lithuania, Austria, Poland, Slovenia and the United Kingdom) have legislation on lobbying activities, as well as a mandatory register of lobbyists. For further information see their report here.